Michael Buining is a Sydney based musician. 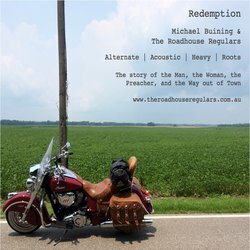 The Roadhouse Regulars is an Alternate Acoustic Blues & Roots trio who also stray into electric blues. God Made the Devil is a seething electric blues with a searing lead guitar. It's not a religious nor an anti-religious song- but one that reaches into the archives of religious blues- and wonders why.